Labradors are the most versatile of all dog breeds. They have many uses from gun dog, guide dog for the blind, sniffer dog and a search and rescue dog but overall they are perfect as a family pet. Labradors puppies can grow to 21″ to 24″ (54 to 62cm) tall and can weigh 55 to 75 pounds (25 to 34kg). They come in three colours black, yellow and chocolate and tend to moult all year round so will benefit from a weekly groom. 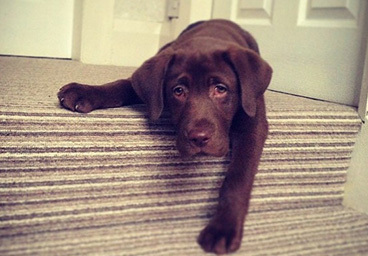 Labrador puppies do not adapt to apartment living; an ideal home would be in the country but would be just as happy living in a town house with a well fenced garden with access to a park. The Labrador breed can become lazy and greedy and can make a great coach potato so needs to be exercised twice a day.They can be easy to train as they are very eager to please which makes for quality bonding time as everybody can get involved with training sessions. Labrador puppies tend to get on with other family pets when socialised from an early age. All Dogs4Us Labrador puppies come with a six month guarantee and are temporary vaccinated, wormed and microchipped for identification. 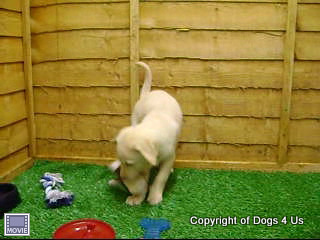 Please call us prior to visiting should you be interested in buying a Labrador puppy, so we can check availability. 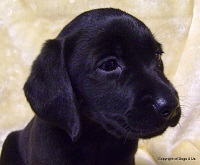 To find out more about Labradors and to check availability contact us at Dogs4Us. 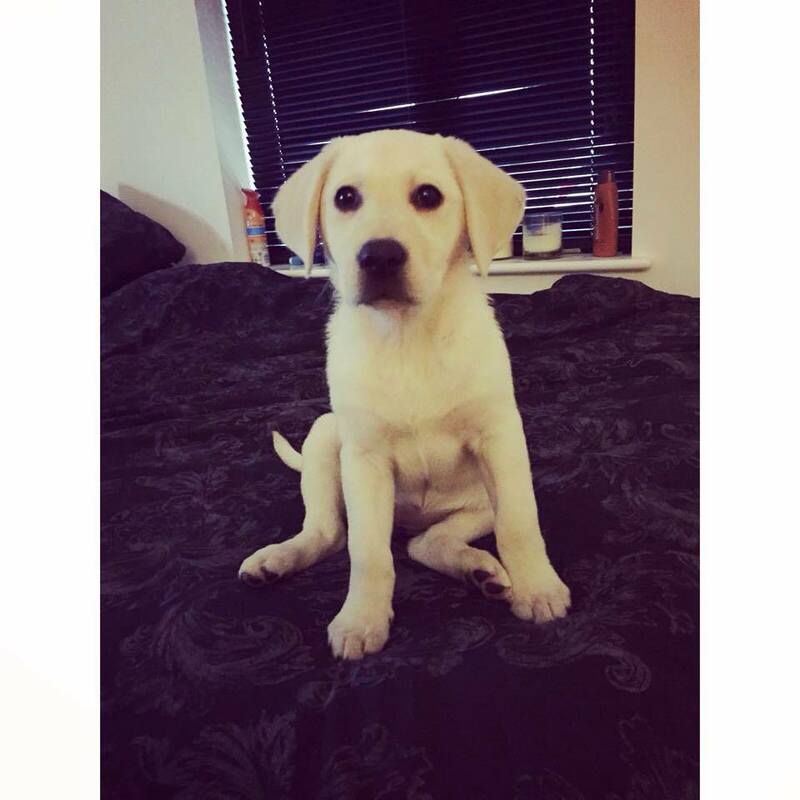 Take a look at some of the Dogs4Us Labradors in their forever homes and don't forget to upload your Dogs4Us Labradors snaps to join our family galleries.